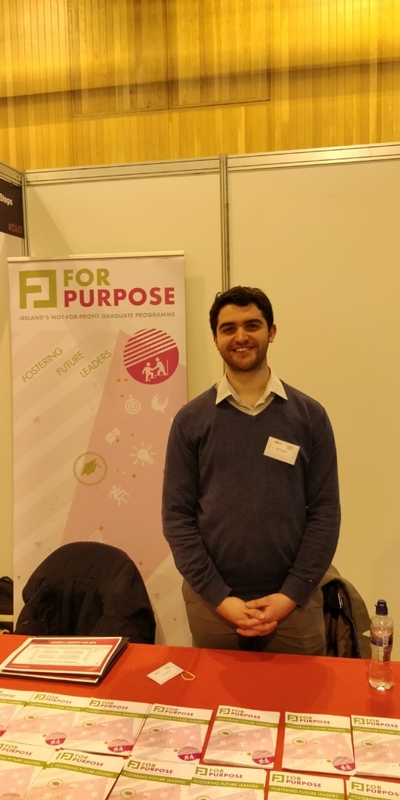 Yesterday, The For Purpose team attended the Dundalk Institute of Technology (DkIT) Careers Fair. We joined over 50 companies at the fair talking to DkIT students about their future career prospects. The For Purpose stand garnered a lot of attention with students eager to learn more about beginning a career in the not-for-profit sector. The For Purpose programme was well received by all, with students demonstrating that there is still uncertainty around a clear entry point into the sector for graduates. In particular, we observed that there was a strong interest in the For Purpose programme from DkIT’s social care students, with the mentoring opportunities the programme provides proving to be a particularly attractive point for students in addition to the diversity of the For Purpose partner organisations. There was also significant interest in For Purpose from students from a variety of disciplines such as business studies, marketing & communications, digital media, IT, engineering and more. The interest in For Purpose from students of all backgrounds highlights that a ‘career with purpose’ is attractive to graduates of all disciplines. 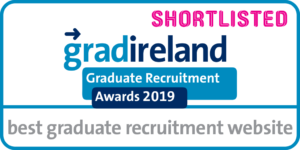 Due to the diverse nature of the not-for-profit sector and the many different services For Purpose partner organisations offer, it is important that the programme attracts a diverse pool of graduates to meet their needs. We believe that by doing this, For Purpose will begin to shape the future of the sector by bringing in its future leaders. We were delighted to have the opportunity to speak to the students of DkIT and we look forward to seeing many of their faces again in the future when the For Purpose campaign launches in January 2019. If you would like any further information about the programme please contact the For Purpose Manager, Adrian McCarthy at adrian.mccarthy@forpurpose.ie or on 01-234-3135. The Next Generation of Leaders are Entering the Not-for-Profit Sector and it’s... That’s a wrap for this year!